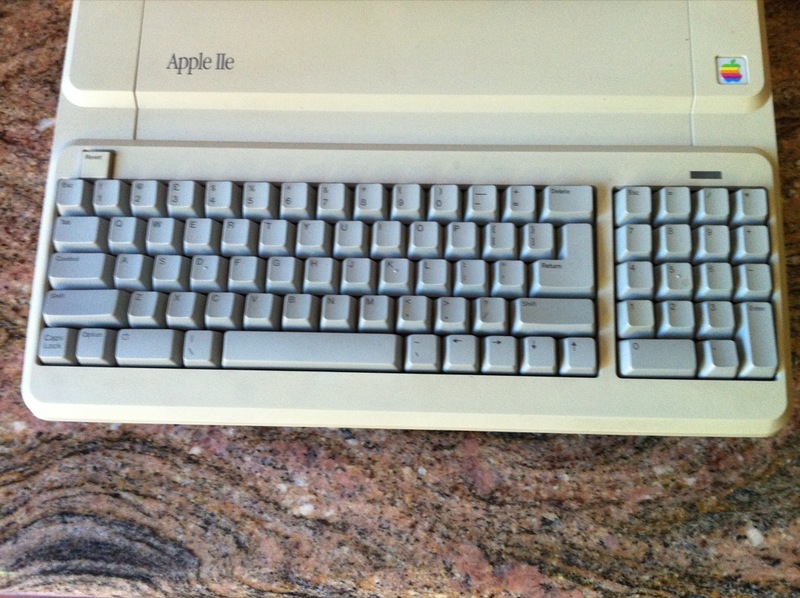 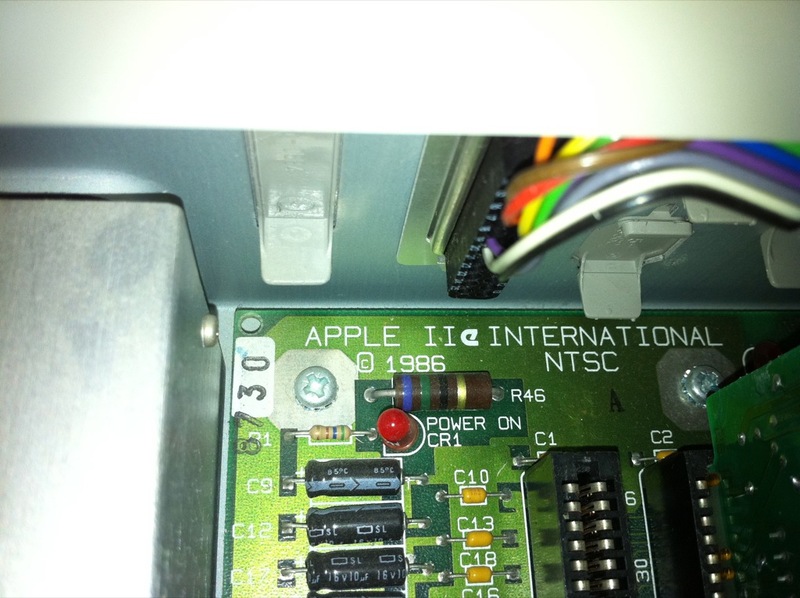 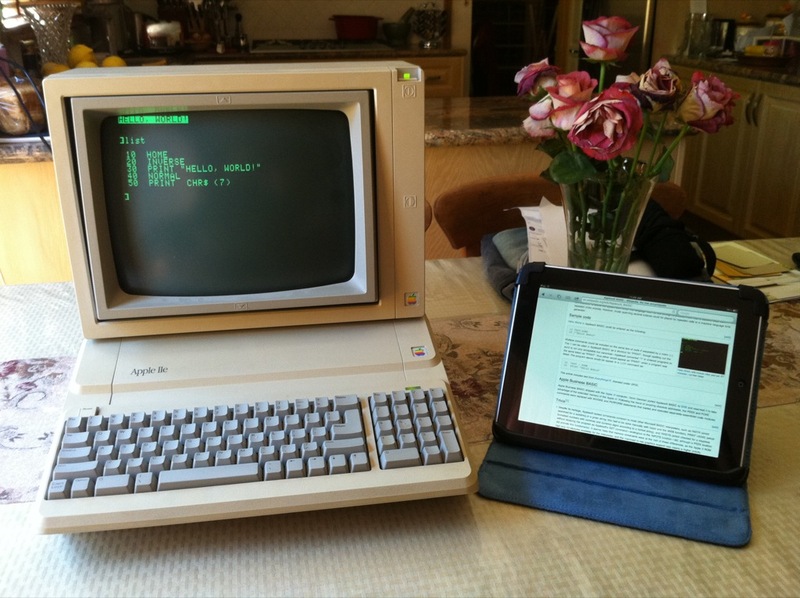 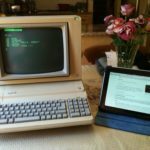 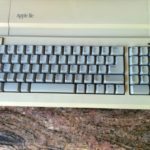 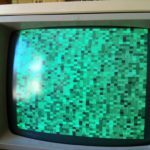 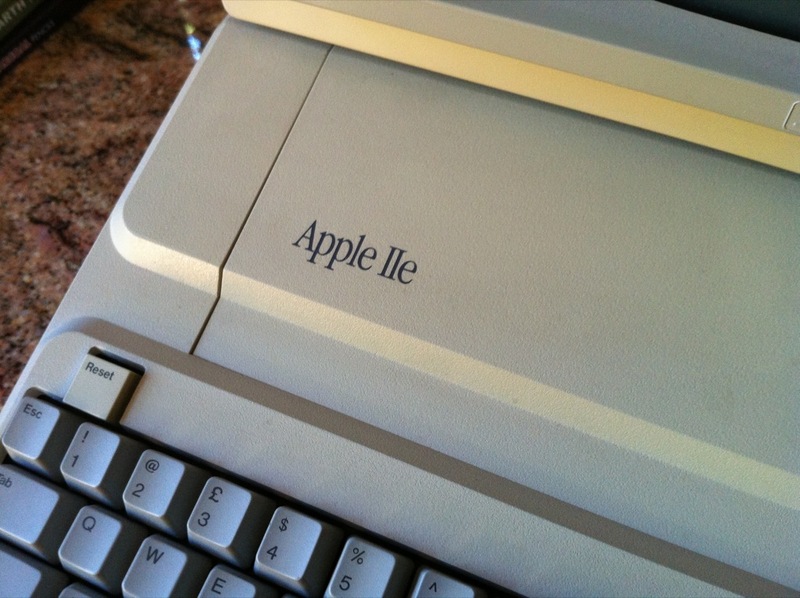 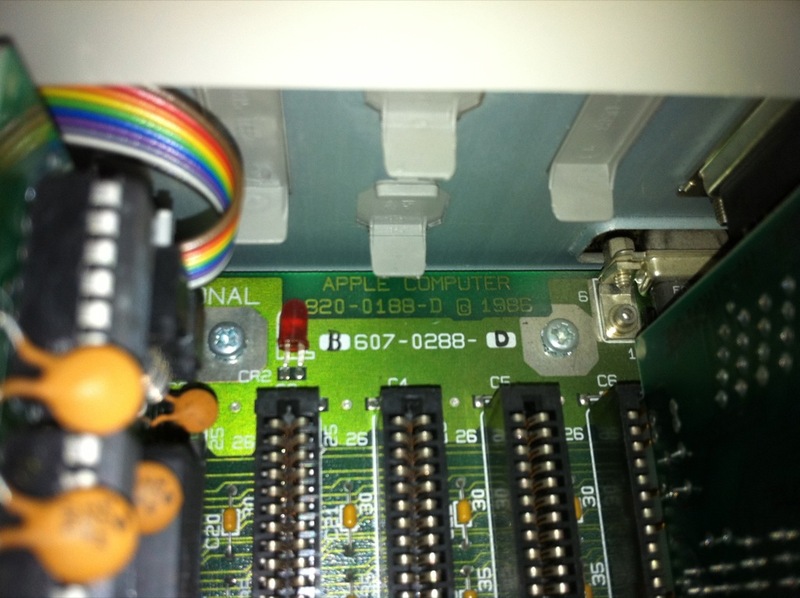 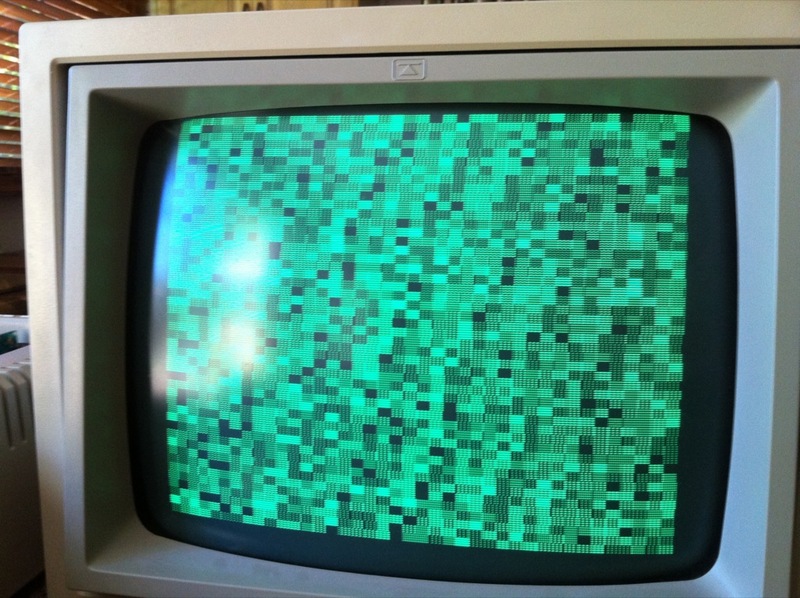 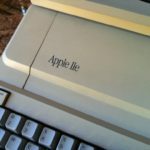 This weekend, the opportunity to receive an old Apple //e had passed my way and I took it eagerly with both hands. 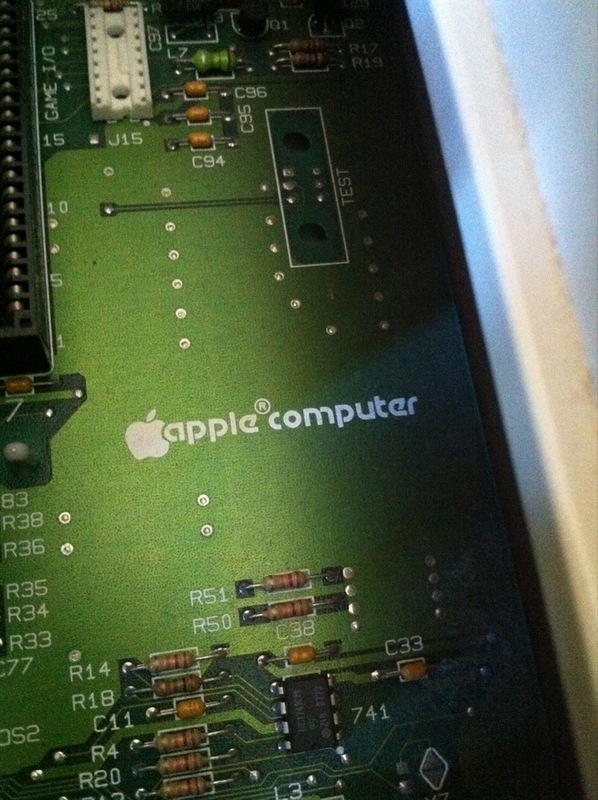 The guy who had it before me (one of my dad’s work mates) didn’t know much about it, but was about to throw it away or sell it, so I made sure I snapped it up real quick. 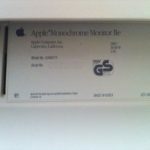 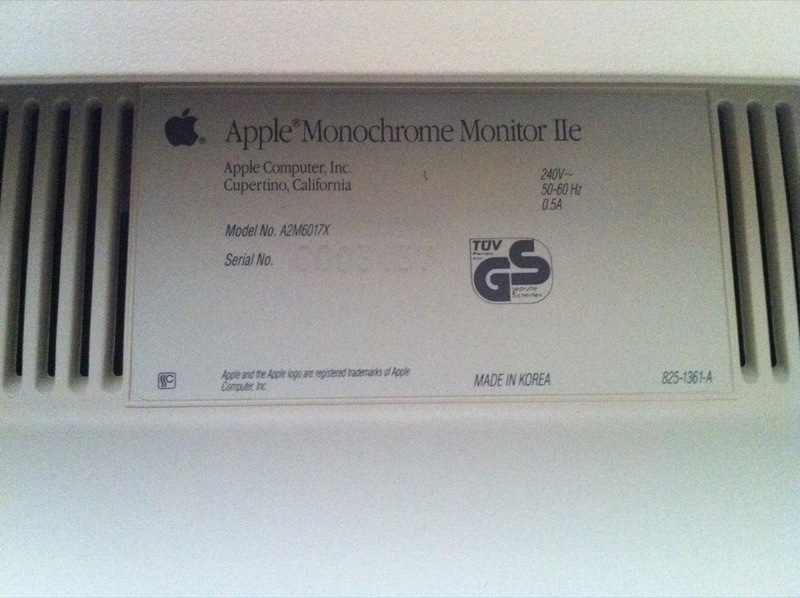 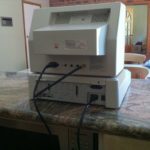 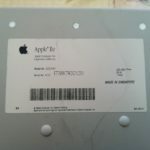 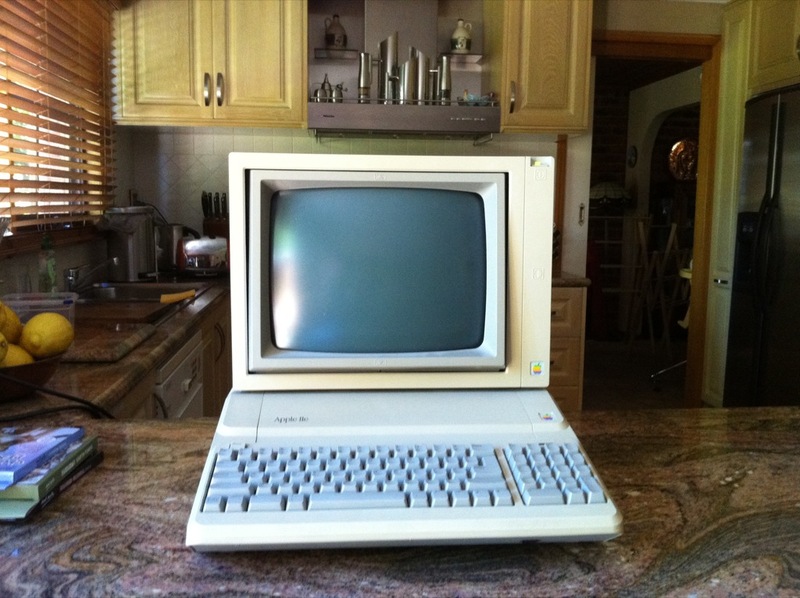 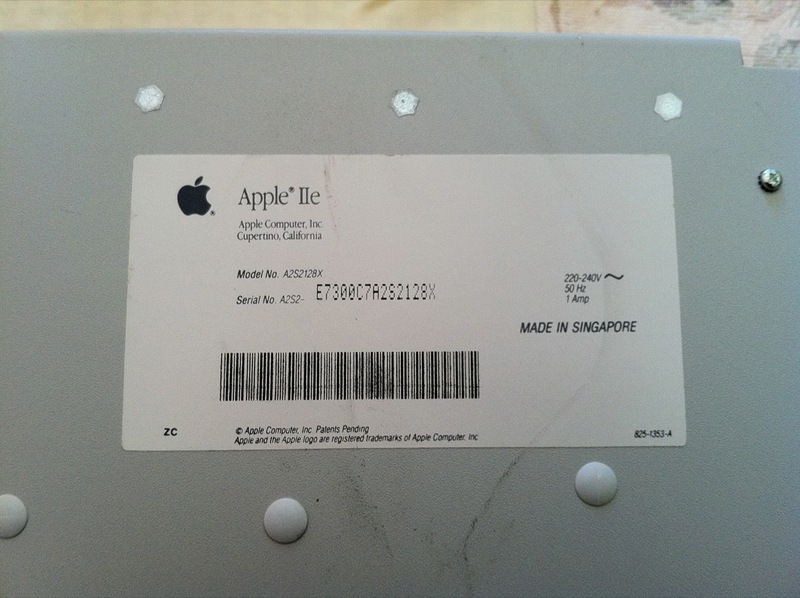 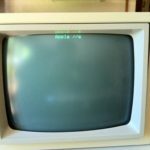 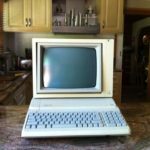 As we got it home, I had a good look around it and it seems to be an Apple //e Platinum with monitor and disk drive. 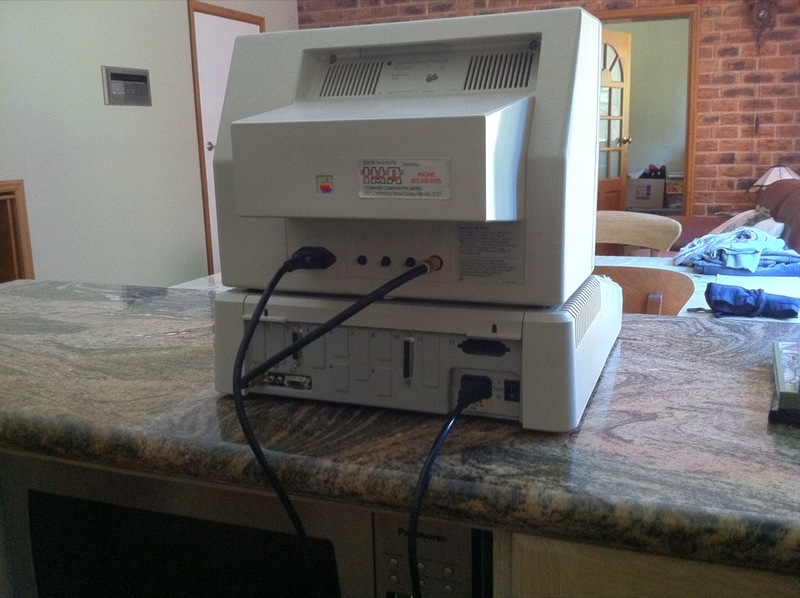 Unfortunately, the other end of the cable for the disk drive has been cut, so I can’t use any floppies until I either get a new cable and do a transplant, or get a new drive overall. 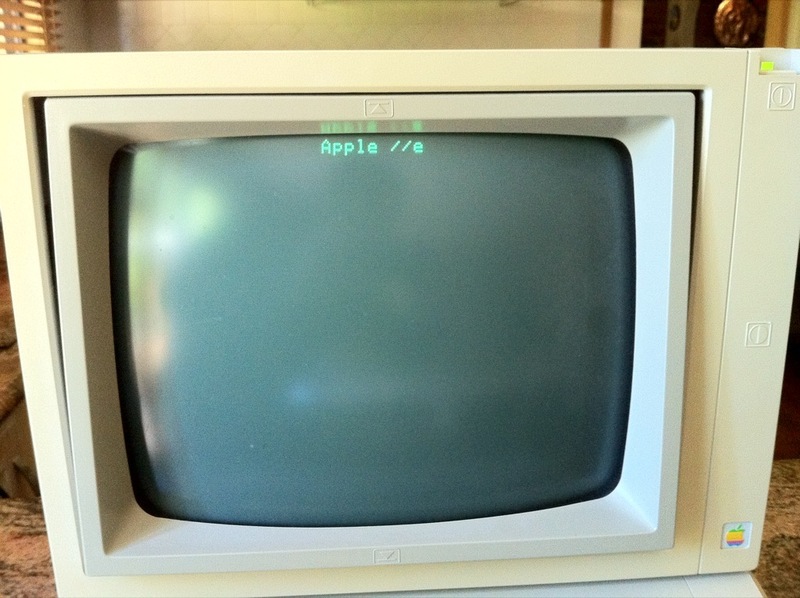 The case has had a bit of a tan (I might use the old retr0bright trick to try and recover that), but all the keys are present and the monitor works quite well. 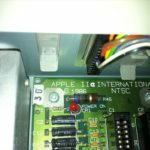 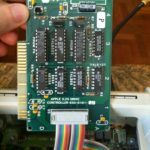 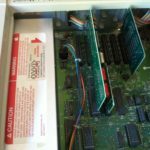 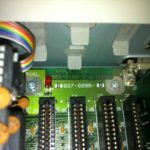 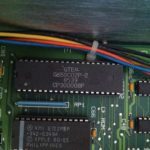 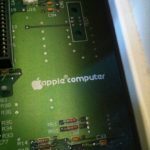 Opening up the case doesn’t reveal much – I had always read that Woz created the Apple ][ with the least number of chips possible, but you don’t really appreciate it until you open the case of one. 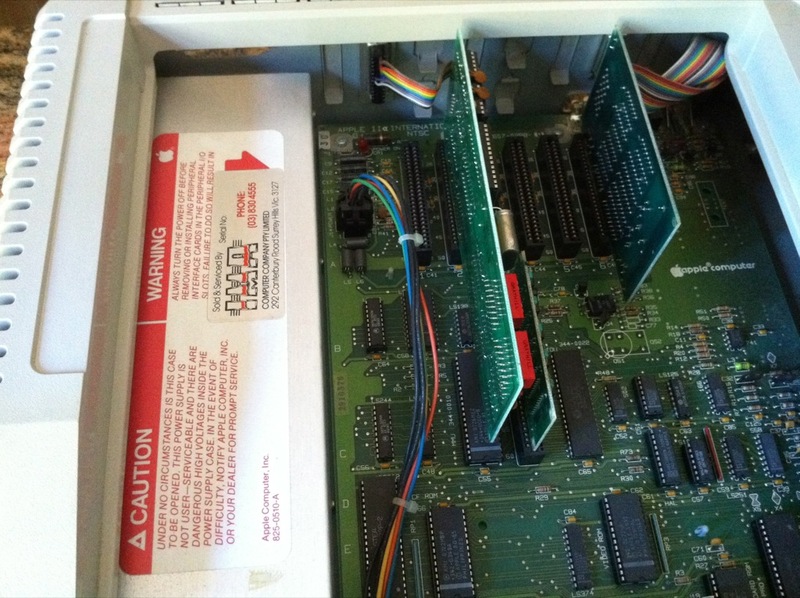 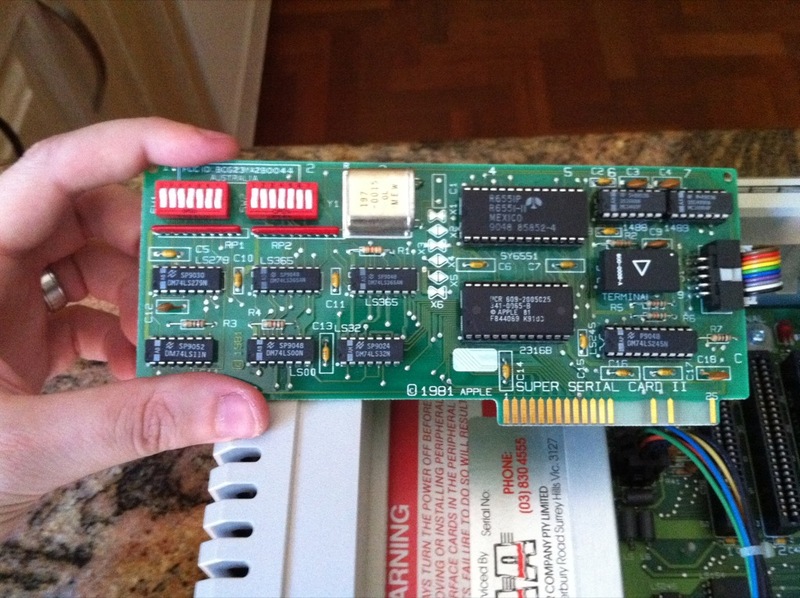 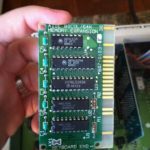 The disk controller card itself is a masterpiece of engineering. 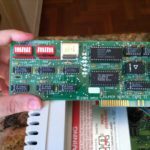 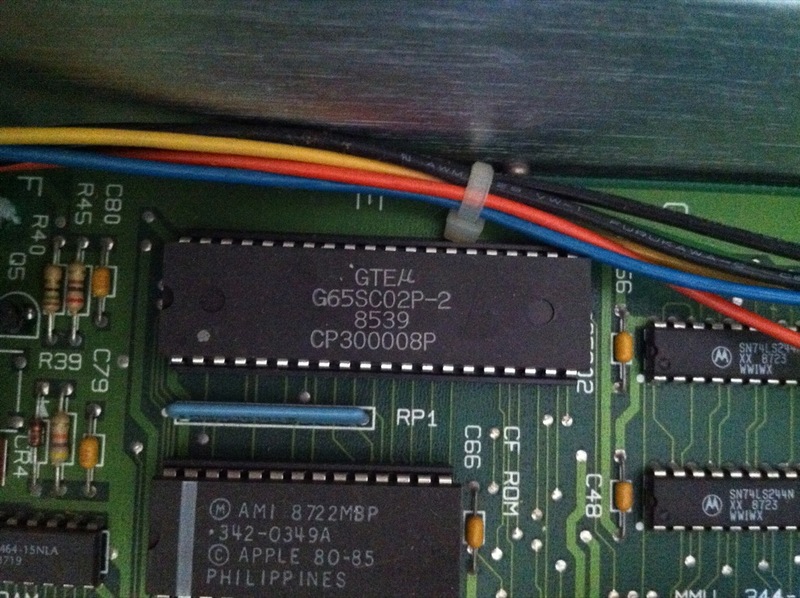 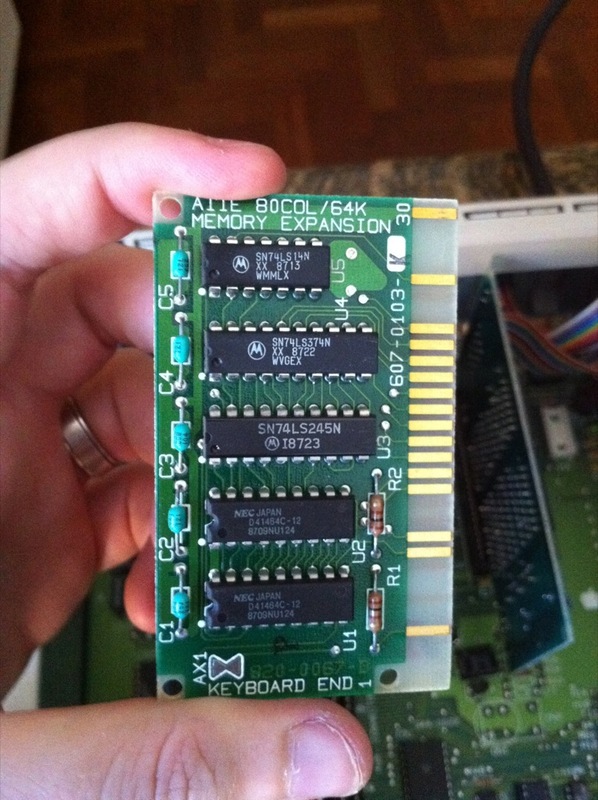 There is also a memory upgrade card (I think it’s 64KB, not sure if there is another 64KB on board though?) 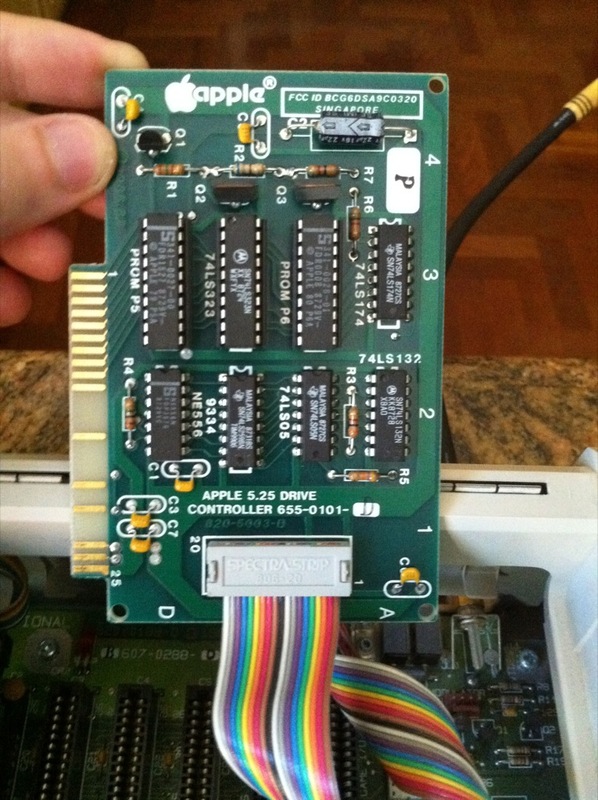 and a serial card that definitely hasn’t been designed with Woz’s intentions. 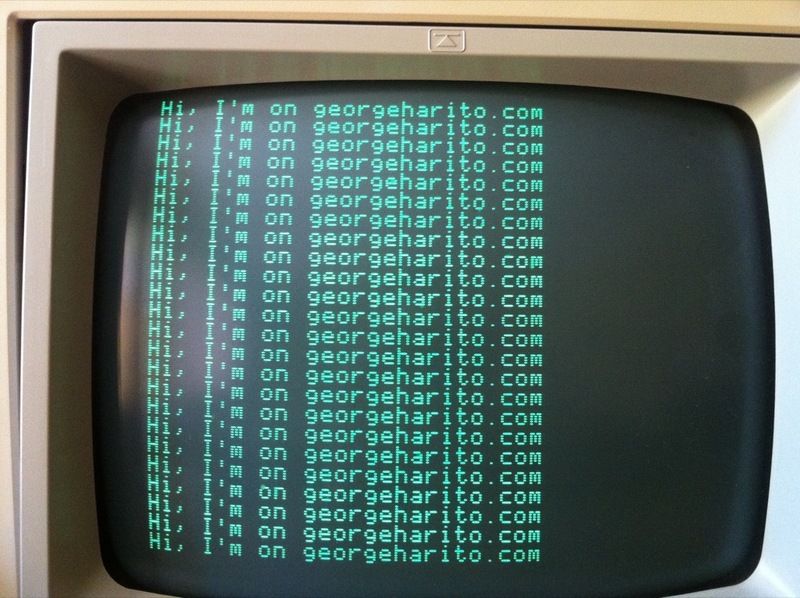 I found a way to get into the BASIC interpreter, I’m sure this isn’t the ‘official’ way of doing it, but by turning the machine off and then on again pretty quick (about 1 second delay) got me to a ‘]’ prompt, where I could clear the screen and start writing some BASIC on it. 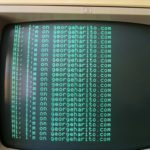 You can see in some of the photos in the gallery above that I had typed some things in and it seems to work well.